PIERCETON — A Pierceton man was arrested after he dealt to and injected drugs with a female who later died of an overdose. Darren Jay Heinzman, 36, 4409 East CR 100S, Pierceton, is being charged with dealing a narcotic drug, a level 5 felony; possession of narcotic drug, a level 6 felony; dealing methamphetamine, a level 5 felony; possession of methamphetamine, a level 6 felony; and possession of a syringe, a level 6 felony. On March 31, an officer with the Warsaw Police Department responded to an unresponsive female at the Warsaw Lodge. Upon arrival, the officer discovered Traci Craig to be deceased. Another female in the room advised that Craig had been “down” for around five minutes. The officer observed empty plastic bags, a plastic bag of powder heroin and a plastic cap that contained liquid methamphetamine and heroin. Medical technicians arrived and transported Craig to the hospital where she was officially declared deceased. The female advised that Heinzman rented the room. She told the officer that Heinzman, Craig and she were in the room and using drugs to get high. Earlier in the day, Heinzman sold Craig some heroin for $20 and brought her to the Warsaw Lodge to get high. While the three were in the room, another man delivered Heinzman 1/2 a gram of methamphetamine. Heinzman divided the methamphetamine into thirds and instructed the females to mix their portion with the heroin. According to the affidavit of probable cause, the three took turns going into the bathroom to inject themselves with the drugs. After Craig’s turn, she came out of the bathroom, sat on the bed and fell over unconscious. Heinzman and the female attempted to help Craig but she did not respond. Heinzman refused to let the female call the police because he had outstanding warrants for his arrest. Heinzman gathered up the drug items and left the hotel before the female called the police. When officers located Heinzman, he confirmed the series of events that led to Craig’s death. He further advised that he hid drug items by the laundromat at Valley Forge Apartments. Heinzman told the officer, “you better go get the items because children may get into the articles.” The officer located a black bag at the laundromat that contained three syringes, a glass smoking device with residue and a rubber band. 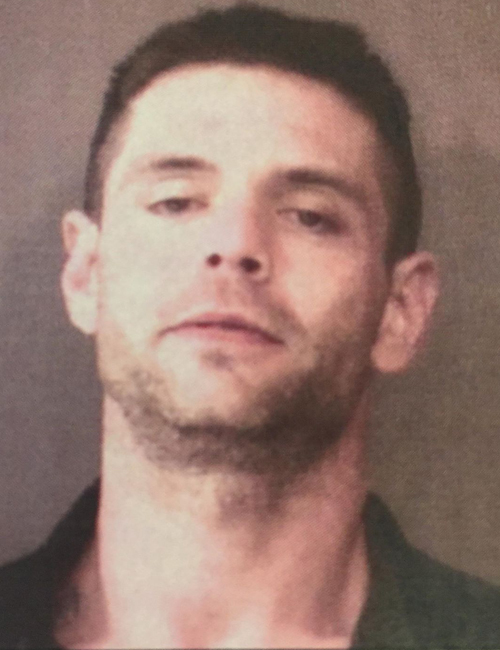 Heinzman was booked into the Kosciusko County Jail on March 31, and is being held on a $50,250 surety and cash bond.